There is a legend that echoes around the halls here at xSellco HQ. It goes back to an interesting time – when we launched the beta version of our Amazon repricer, xSellco Price Manager. In a nascent repricing software market, we were keen to test out a number of potential applications for our beta product. 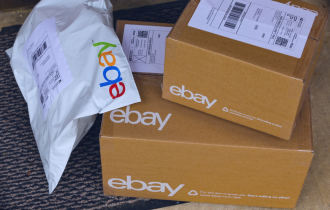 We tested with a friend of ours – an online seller called Patrick. Patrick had been selling on Amazon for almost a decade and had developed a strong niche for himself. But he was always open to trying new things to stay ahead of the curve. The idea of a fluid, automated pricing strategy appealed to him. So we tested our beta software and tweaked some features to his needs, and for a few of our other seller friends too. One evening, we had a ‘lightbulb’ moment. Patrick had been using the basic functionality of the repricer for a few weeks – setting the minimum and maximum for a bulk of products. He also activated some competitor rules, like only pricing down when a seller had a higher feedback rating than him, and pricing up to his maximum when his primary competitors ran out of stock. He experienced an uplift in sales around products that he previously found tricky to shift, as well the more popular SKUs. Crucially, he was occupying the Buy Box more regularly. But we weren’t totally satisfied with his performance for one primary reason. His profit trend did not present the same dramatic uplift as his sales. This was because Patrick had developed a willingness over the years to sell products at a loss. This continued when he started using our repricer. However, through our beta platform, we could see his tactic to make more sales against competitors, even at a loss, was hurting his bottom line. So we proposed a change. We told Patrick that he had as many as 300 SKUs, which over a given period, were on average selling at a loss. Out of his 1200 or so products, he had 25 percent which rarely yielded a profit. That is a significant figure. 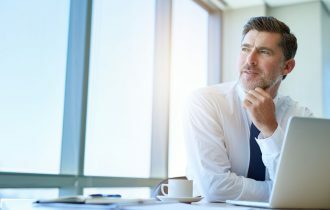 Sometimes sellers are tolerant to selling at a loss, with the hope that it earns them repeat business or gives them an advantage over their competitors, which it sometimes can. But we asked him could we try something out for 24 hours. 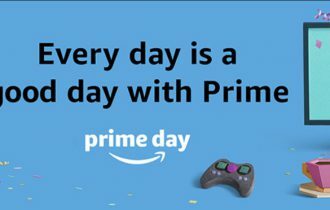 It was a fairly radical suggestion to someone who had a well established Amazon niche. But like I said, Patrick was always open to new ways of doing things, and he obliged. We uploaded the landed costs of all of his products. We were then able to compute this into his prices and see exactly which SKUs were selling at a loss. For the loss-making products of which he had plenty of stock, we changed their price to a profitable range. For the loss makers that Patrick either dropshipped or were temporarily out of stock, we cut them out completely. We expected to see results, but not as immediately as we did. The next day, Patrick woke up to a business that only sold in the black. He only sold products if he made a profit. His profit trend jumped by 10 percent. Patrick’s success as a seller wasn’t overnight – he was selling online back when many sellers were still reliant on a dial-up internet connection. But the tactic to identify his long term loss makers and to remove them entirely paid off quickly and handsomely. When it came to building Price Manager, what did we get out of this experience? And what did we learn? Thanks to Patrick’s willingness to experiment, we discovered the power of the feature we call ‘net margin repricing’. 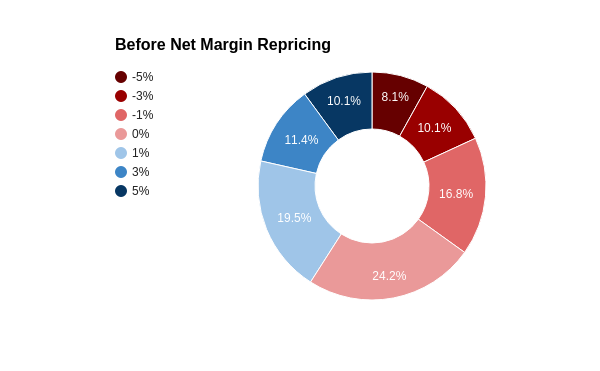 Net margin repricing is the most valuable type of repricing. It allows you to take a product’s landed costs into account when you set up your repricing strategy. It incorporates costs into the minimum price you need to sell at to make a profit. Thanks to this experience with Patrick, we built the net margin repricing feature that has become the firm favourite among our loyal customers. However, net margin repricing has become a much more sophisticated feature since our successful experiment with Patrick. In a recent webinar, we used another customer, Clement, as a case study of the impact our net margin repricing feature has on your bottom line. Clement is a seller of fashion and beauty products who has five Amazon marketplace channels; two in North America and three in Europe. He deals with three different currencies for sales, and has to factor in shipping costs with these currencies too. On top of this, calculating VAT accurately and being able to price accordingly for every SKU was a major pain for him. Before he started using the net margin, Clement calculated all of his landed costs manually. As a result, he wasn’t factoring every cost in when setting his net margin for each product. In fact, almost 60 percent of his products were either loss-making or neutral profit on a SKU level. In the above graph we can see the biggest slice of his sales (24.2%) made neither a profit or a loss, but a eight percent of his sales sold a five percent loss. His profitable sales (40 percent) were being eroded by the unprofitable ones. A preview of xSellco Price Manager’s net margin repricing feature. That’s when we signed Clement up to the Ultimate package of Price Manager, which includes net margin repricing. Through Price Manager, Clement could see the lowest price for any of his products on Amazon and how many people sold at that price. Underneath his own Price, Lowest Price and Highest Price, his estimated profit at those prices is displayed, taking into account his uploaded costs. 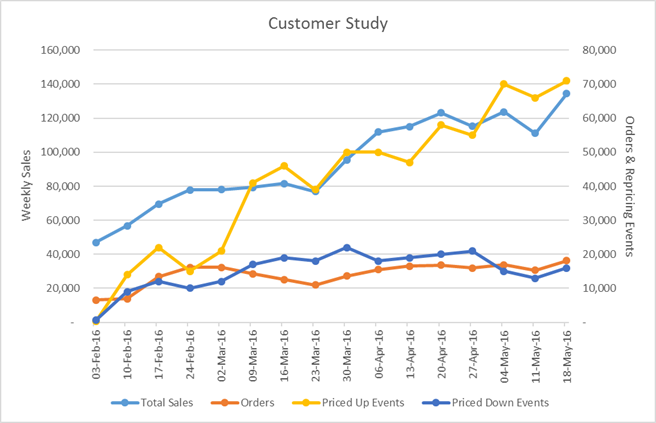 He initially set up a subset of SKUs from a single channel using net margin repricing to evaluate its benefits. He uploaded his costs and analysed what was performing to identify and remove unprofitable products. The results were almost immediate. He saw value of sales and profits increase dramatically over the following four months. The left axis has been changed to anonymize the seller’s data, but the scale and growth rate is actual. Clement’s profitable sales increased from February to May while unprofitable sales decreased. Clement added more of his marketplaces to Ultimate Price Manager and repeated the process over. Almost 70 percent of Clement’s products now sell at a profit. Almost 15 percent of his sales make at least a five percent profit. He has chosen to sell at a loss on a small portion of his SKUs as he planned to cut the costs of sourcing this these products. But through the intel he gained from Price Manager, he removed and changed the prices of the majority of his loss makers. As a whole, sales volume has not drastically increased, but his value of sales and overall profitability have significantly improved. The result is Clement does the same amount of work that he was previously doing for much more return. 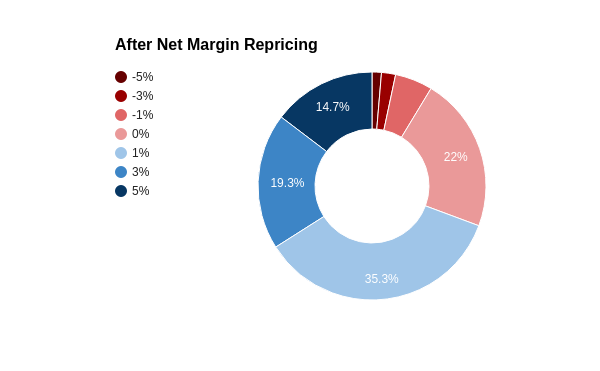 Net margin repricing allows you to see if you are selling winners or losers. Calculate your costs accurately, reprice for net margin, cut the biggest losers and ensure you never make an unprofitable sale again. When it comes to selling, the quality of sales is just as more important as quantity. Try net margin repricing for free and discover your sales-to-profit sweet spot.